Save big throughout the Wisconsin Dells and Lake Delton area on lodging, dining, and more. Specials are updated often and directly by the businesses themselves. To filter searches within a category and/or date range, select the options below. Don’t forget to check out our coupons for even more savings! Note: All information for the special offers and deals listed here has been provided directly by each business. Please contact a business directly for deals or special availability, details, and pricing. 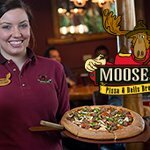 @ Moosejaw Pizza & Dells Brewing Co.
Special Offer: Easter Sunday Brunch Buffet - Join us from 11am-3pm on April 21st for our All-You-Can-Eat Easter Brunch Buffet. Buffet includes: Sliced Oven Roasted Ham, Scrambled Eggs, Cheesy Hashbrowns, Western Scrambled Eggs, French Toast Sticks & Assorted Desserts PLUS our regular lunch buffet, which includes: Piping Hot Pizzas, Full Salad Bar, Pasta Salads, 2 Soup Choices & Rolls. Adults - 15.99/Children 7-12 years - 8.99/Children 3-6 years - 6.99/ Children 2 & under FREE. Special Offer: Our All-You-Can-Eat Easter Buffet runs from 8am-2pm on Sunday, April 21st. The buffet features: Prime Rib, Honey Ham, French Toast with Syrup, Scrambled Eggs, Biscuits & Gravy, Sausage, Bacon, Mixed Vegetables, Home Fried Potatoes, Breakfast Pizzas & Fruit. Desserts include: Homemade Donuts, Pastries, Muffins, Chocolate Mousse & Easter Cupcakes. Adults - 17.95/Children 7-12 - 10.95/Children 6 & under - 6.95 EASTER BUNNY will be at Moosejaw. Full Menu Available. Special Offer: Our All-You-Can-Eat Mother's Day Buffet runs from 8am-2pm on Sunday, May 12th. The buffet features: Prime Rib, Honey Ham, French Toast with Syrup, Scrambled Eggs, Biscuits & Gravy, Sausage, Bacon, Mixed Vegetables, Home Fried Potatoes, Breakfast Pizzas & Fruit. Desserts include: Homemade Donuts, Muffins, Brownies, Bars & Chocolate Mousse. 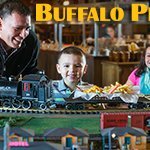 Adults - 17.95/Children 7-12 - 10.95/Children 6 & under - 6.95 Full Menu Available. Special Offer: 12 oz. slow roasted, succulent prime rib cooked to your liking. Served with roasted seasonal vegetables, dinner roll, au jus, side of horseradish PLUS your choice of starch. Available on Saturdays after 4pm. Special Offer: Moosejaw has the best beer battered or baked Icelandic Cod in the Northwoods. Served with coleslaw, mini beer bread with honey butter & choice of starch; we're sure to satisfy your hunger. Starting at 4pm on Fridays.